Would you like to work in an innovative environment? With leading-edge technologies applied we bring the best solutions to our customers. 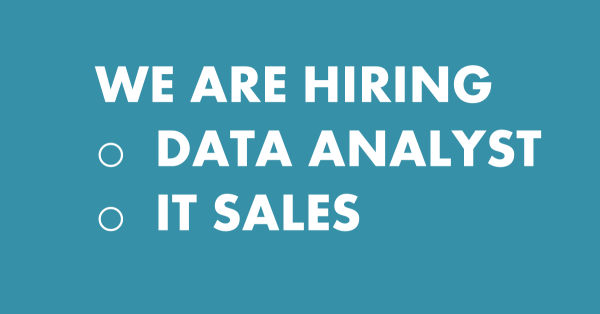 We are looking for our DATA ANALYST colleague. We are looking for our IT SALES colleague. a devoted IT Sales. The successful candidate will sell software products and related services to enterprises. You're likely to combine technical advice with an all-round sales role. Relevant sales experience is vital, combined with an understanding of IT. You need to maintain a balance between achieving sales and revenue targets, while also ensuring that customer expectations on cost, functionality, and quality are met. You will receive performance-based bonus as well. Company car or car allowance, mobile phone and laptop also included as part of your package. Send your CV to nelli.kertesz@provice.eu!